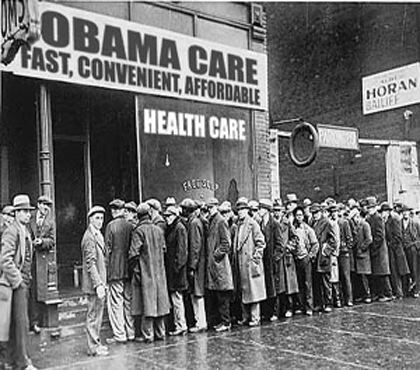 Will the “Affordable” Care Act end up helping some Americans? Sure. Even the worst written law will help some people. The ACA will surely help illegal aliens. It’ll also help those with pre-existing conditions. Not only can they not be denied coverage, but they supposedly can’t be charged more than healthy people (though the example the San Jose Mercury News uses for this doesn’t help the O-care narrative). There will be some success stories, ones designed by the law to be successful, which cover up the other 90% of what the law does. And ACA supporters are shocked, shocked, I tell you! that they got hosed. (SJ Mercury News) Cindy Vinson and Tom Waschura are big believers in the Affordable Care Act. They vote independent and are proud to say they helped elect and re-elect President Barack Obama. Vinson, of San Jose, will pay $1,800 more a year for an individual policy, while Waschura, of Portola Valley, will cough up almost $10,000 more for insurance for his family of four. These “independents” were like totally floored. For people in Middle Class Land, that’s real money that could have been used for other things, and really hurts during the Obama economy malaise. Granted, both families make more than the cutoff for receiving a “subsidy”. Yet, Covered California states that just 570,000 of the 1.9 million who will get insurance through the Government Exchange will be eligible for subsidies. And someone has to pay for all those extra costs built into O-care plans. People like the ones mentioned in the story.